Photo of an unidentified youth in a Tokyo jazz coffee shop by Michael Rougier, 1964. "The girl smoking and brooding in a Tokyo coffee shop represents a problem brought on by the abruptly changing society of Japan since the war. She is part of a phenomenon long familiar in countries of the Western world: a rebellious younger generation breaking from her country's past. "—an excerpt from "The Young in Revolt", LIFE Magazine's Japan issue, September 11, 1964. 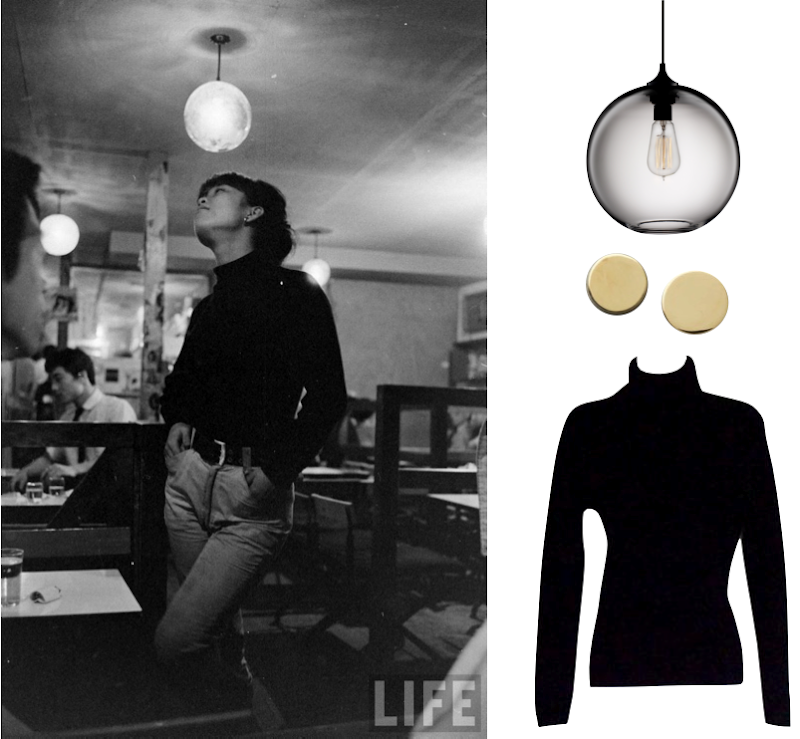 Niche Modern pendant lamp ($475); Jennifer Meyer studs ($200); Black turtleneck sweater ($32). She looks like she's up to mischief. I want to be her right now! And look at the cute Japanese guy in the back. 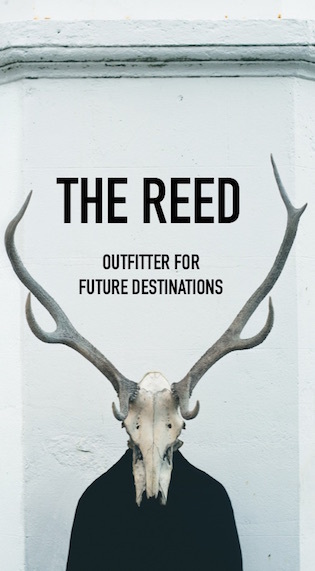 This is so chic. Reminds me of Audrey Hepburn in Funny Face.